Youth soccer players dream big! The adidas Jr Conquisto FG Soccer Cleats can help you keep a firm grip on the soccer field and the ball so one day you can be as great as Lionel Messi. Top soccer stars such as Lionel Messi of the Argentina National Team know how important technique and playmaking skills are to the game of soccer. In order to reach this level of soccer excellence you need to practice your soccer skills daily. If you are passionate about playing soccer, you need to have soccer cleats that can keep up with your passion and drive to be the best you can be. 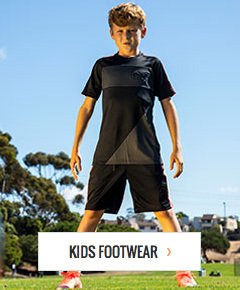 The adidas Jr Conquisto FG Soccer Cleats are at the top of the list of soccer cleats for youth soccer players. Designed with a lightweight Traxion FG outsole, the Jr Conquisto FG Soccer Cleats by adidas provide comfort and a firm grip so you can perform at your best on the soccer field whether in possession or playing defense. Die-cut EVA insole and lightweight synthetic leather upper provide durability and maximum comfort to keep you at the top of your game during both halves. All of the soccer greats were once youths. Are you the next soccer great?